i. When Pre-Teen, Junior and Youth events are offered for Student/Student and/or Pro/Am Student Dancers the age divisions must be those that are listed in the “Rules for Amateur Competitions” section. ii. When Pre-Teen, Junior and Youth events are offered for Student/Student and/or Pro/Am Student Dancers the dress and/or costuming rules must be those that are listed in the “Rules for Amateur Competitions” section. iii. When Pre-Teen events are offered for Student/Student and/or Pro/Am Student Dancers the syllabus rules must be those that are listed in the “Rules for Amateur Competitions” section. a. Age classifications, “a” through “f-(3)”, will become effective on January 1st of the year in which the individual’s classification age is attained, regardless of the actual birth date. i. Pre-Teen I and Pre-Teen II into a single Pre-Teen classification. ii. Junior I and Junior II into a single Junior classification. iii. Senior I, Senior II, and Senior III into a single Senior classification. iv. Organizers may combine classifications not listed above by obtaining written permission from the Ballroom Director. c. Organizers may offer additional age category competitions, such as “Under 21″, etc. i. Pre-Teen I competitors may dance up one age classification to “Pre-Teen II”. ii. Pre-Teen II competitors may dance up one age classification to “Junior I”. (1) Pre-teen II couples who elect to dance up to junior must remain in the approved pre-teen costumes. iii. Junior I competitors may dance up one age classification to “Junior II”. iv. Junior II competitors may dance up one age classification to “Youth”. v. Youth competitors may dance up to the Adult classification. (1) Only Pre-Teen II age category competitors may dance up into the combined Junior age category. (2) Combined Juniors may dance up into the combined Youth age category. (3) Combined Seniors may dance down into the adult age category. i. For Youth, Junior I and Junior II partnerships, one of the individuals may be no more than two age classifications younger. (1) If written permission is given for the individual to dance up two age classifications, then that person may not return again to dance in the original younger age classification that they “gave up”. iii. Under no circumstance will a Pre-Teen I, Pre-Teen II, or a Junior I competitor be allowed to compete in the Adult age classification. iv. A Junior II competitor may not apply for permission to dance up as an Adult until they are 15 years old, at which time they would need to apply to the Ballroom Department as noted above. v. Youth competitors turning 19 years of age in the calendar year may still dance as youths until they have graduated from “High School”. f. A couple’s age classification eligibility is defined as the age of the older partner for the Pre-Teen I, Pre-Teen II, Junior I, Junior II, Youth and Adult classifications, while it is defined as the age of the younger partner for the Senior classifications. g. Any amateur competitor dancing in a Pre-Teen I, Pre-Teen II, Junior I, Junior II, or Youth “open singles event” may only be partnered by another amateur competitor aged eighteen years or younger. a. Syllabus. Restricted to “medalist” level figures (Bronze, Silver, Gold, Novice Bronze, Novice Silver, Novice Gold, Etc). b. Novice. Open Syllabus. It is recommended that “Novice” competitions generally be restricted to two (2) of the allowed dances for each style. c. Pre-Championship. Open Syllabus. It is recommended that “Pre-Championship” competitions generally be restricted to three or four (3-4) of the allowed dances for each style. d. Open Amateur. Open syllabus. All of the dances in each style must be done in this category in all rounds, and in the order prescribed. a. A competitor is eligible to dance in the “Syllabus”, “Novice” and/or “Pre-Championship” proficiency classifications until they accumulate three proficiency points. There is no limit to the number of proficiency points that may be accumulated in the “Open Amateur” level. b. A competitor receives one point when they either a) place first in their current classification when a semi-final was danced, or b) dance in the final of a higher proficiency event where a semi-final was danced. c. In the “Syllabus” categories proficiency points should be accumulated independently for each dance. d. The eligibility to compete in a classification is applied to individual amateur competitors and not the couple as an entity. e. An amateur couple is only eligible to compete in a classification if both members of the couple are eligible. f. An amateur competitor’s eligibility is based on his/her accomplishments regardless of the number or length of partnerships they have had. g. It is the responsibility of all amateur competitors to ensure that they are eligible for the category in which they desire to dance. h. An amateur competitor may enter at most two consecutive proficiency classifications in any particular style and age group at a particular competition. i. An amateur competitor’s ineligibility begins at the conclusion of the competition in which his/her third point was acquired. In this case the word “competition” refers to the entire event (generally a “weekend”). j. An amateur competitor’s proficiency level as a Pro/Am shall not be used in determining his/her amateur proficiency level. Pre-Teens must dress as listed below. (d) Satin stripes are not allowed. (3) Sweaters and vests are not allowed. (h) Gathering or shirring on the bodice is not allowed. iii. For pre-teen one-dance or two-dance events, competition organizers may require that the shirts/tops be white and the trousers/skirts be black. a. Definition of “Syllabus Dress”. i. Gentlemen. Standard and Smooth Divisions: Dress pants, plain shirt and tie, and optional cummerbund or vest or black sweater or tuxedo. No tail suits. Latin and Rhythm Divisions: Dress pants, plain or ruffled shirt, optional tie and or vest. ii. Ladies. Standard and Smooth Divisions: Cocktail dress without excessive adornment. No ball gowns. Latin and Rhythm Divisions: Leotards and wrap skirts or party/cocktail dresses without excessive adornment. b. Definition of “Open Amateur Dress”. i. Gentlemen. 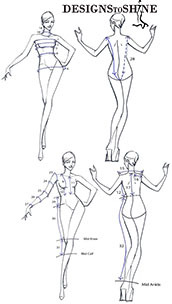 Standard and Smooth Divisions: Tailsuits. Latin and Rhythm Divisions: Latin costumes. ii. Ladies. Standard and Smooth Divisions: Ball gowns. Latin and Rhythm Divisions: Latin costumes. c. For “Syllabus” competitions competitors must wear “Syllabus” Dress. d. For “Novice” competitions competitors may wear either “Syllabus” or “Open Amateur” dress. The competition organizer may stipulate one or the other for this category. e. For “Pre-Championship” and “Open Amateur” competitions competitors should wear “Championship” costumes. f. Competition organizers may establish alternative dress and/or costume guidelines if they desire for Juniors, Youths or Adults. Couples competing in the “Pre-Teen” category must dance restricted syllabi as noted below. a. Pre-teen. Couples competing in this age category may only dance Bronze, Silver and Gold syllabus figures from approved syllabi of member organizations of the NDCA as well as the official NDCA syllabus. i. No embellishments of standard figures. No change of levels, head rolls, foot flicks, syncopations or delayed timings unless specified within the approved syllabus. a. Couples competing in the “Junior”, “Youth” and “Adult” categories are not restricted in syllabi unless competing in a “Syllabus” event, or otherwise stipulated by the organizer.